I eu un grand temps im Québec! That is supposed to say "I had a great time in Québec! "...not sure Google got it right. For the past 5 years, we have celebrated the Spookfest with scary movies and lotsss of candy. I love this family like they are my own and cherish our time together. Their oldest little boy and I threw leaves cause we could. 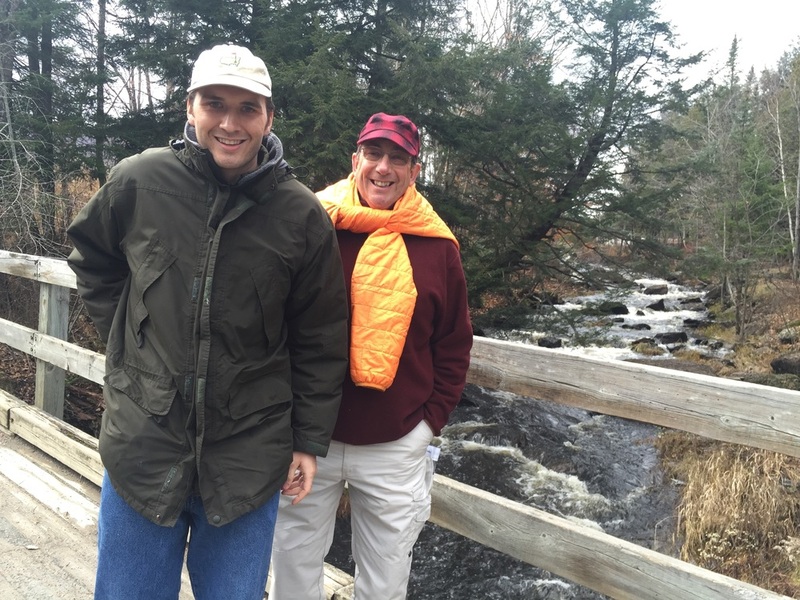 Cal, Dad, and I went hiking at Mont Orford. Canada is such a beautiful country. Granted, I've only been to small parts of Québec and Niagara Falls. Nevertheless, I am enamored with the landscape and the kind, gentle people. The Québécois people were so patient with our botched French. We learned how to say "I'm sorry" and "Do you speak English?" Those pretty much got us by when our friends weren't with us. My dad was the funniest and made me nervous every time he addressed someone. You think you've experienced embarrassment by a parent? Just wait until you're in a foreign land. Hahahaha! It's time to get myself back up and running to prepare for a rebrand, the holiday season, and my next wedding in February. I have a feeling the next 3 months are going to fly by! !